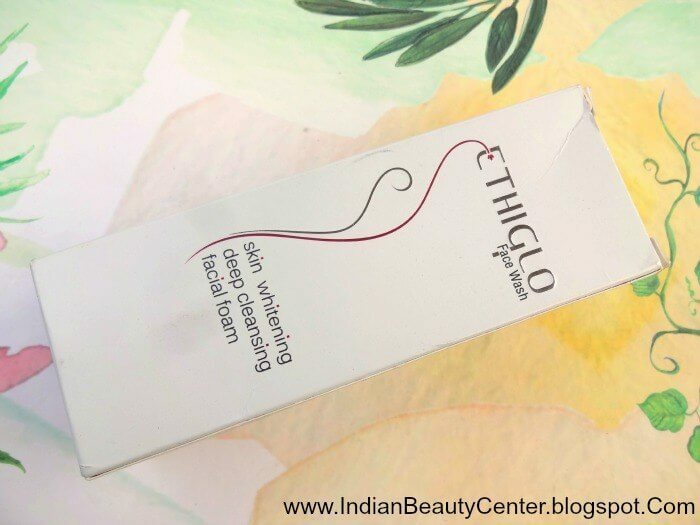 Product Description : Ethiglo skin whitening creamy face wash with deep cleansing & special actives helps to reduce blemishes and lightens skin tone.You would love to indulge yourself in creamy feel and foam of Ethiglo while its special formula with mili globules cleanses and work on improving complexion and skin tone.Regular use of Ethiglo creamy Skin whitening face wash will help to achieve the skin complexion most people desire only. 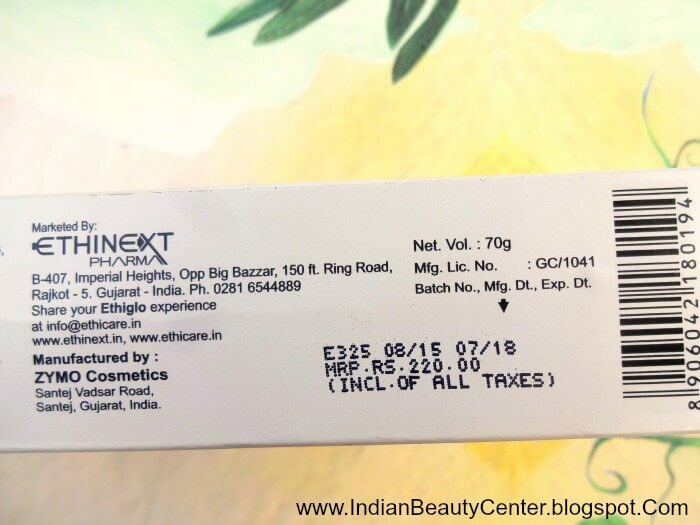 Key Ingredients : Kojic acid, Vitamin C, Liquorice, Nicotinamide, Glycolic Acid, Lactic acid, Salicyclic acid, Triclosan, VitE,D-Panthenol, DM water, Glycerin, PG, Stearic Acid, Potassium Hydroxide, Gum Binder, EDTA, SLS, Preservatives, Perfume. Directions for Use : Take a little Ethiglo with a little water on to your palm.Work up lather and gently massage on your wet face and neck with a circular motion.Rinse off with clear water and pat your face dry. It comes in a white box with all details mentioned. But, only key ingredients are mentioned. 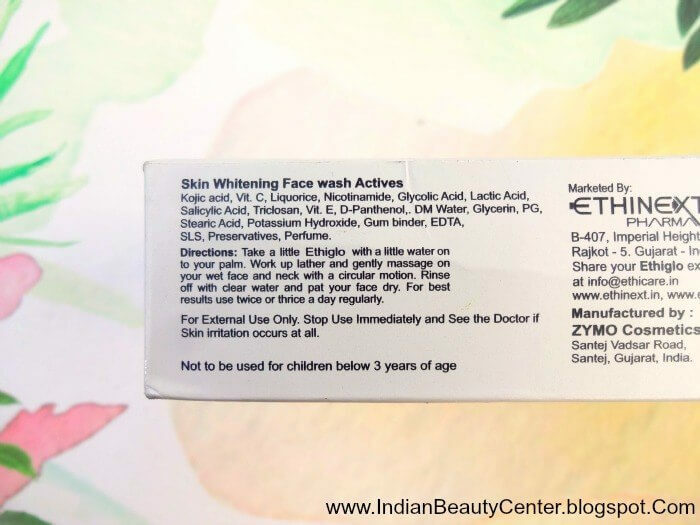 I need the full ingredients list to check if the face wash contains any chemicals that wont suit my skin type but they have mentioned only active ingredients. 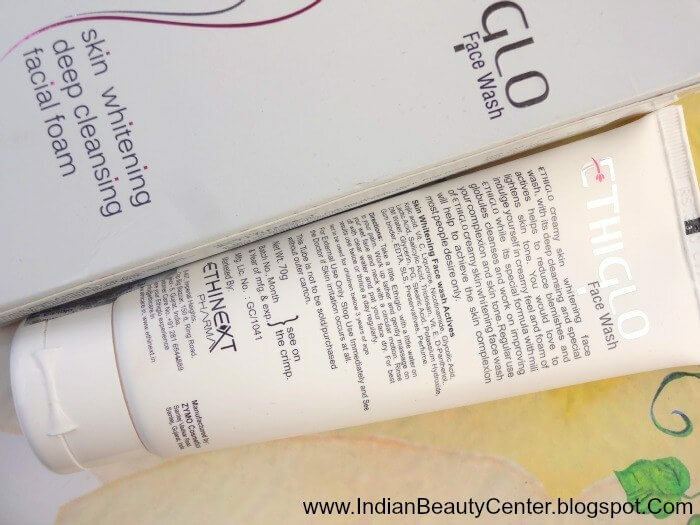 It's a pearly white face wash that has multiple red beads that offer very little to no exfoliation. However, the face wash contains salicylic acid and kojic acid, which are good for reduction of pimples and marks. Also, the face wash is suitable for daily use as it does not exfoliate too much. It lathers really well and thus, my face feels refreshed after every wash. It cleanses the skin really well and removes all oil and dirt from the skin. Skin looks bright and it also helps in preventing pimples to an extent. It should not be used by people with dry skin as it dries out the skin a lot. So, only those with oily skin should use it, probably once a day. At night, you can use Cetaphil cleansing lotion or other not so drying products. But, my skin actually feels very clean. It dries out my oily skin heavily too but I use day cream to combat it. Do not expect it to show miracles. It just helps in preventing pimples to a certain extent and brightens up the skin really nicely. 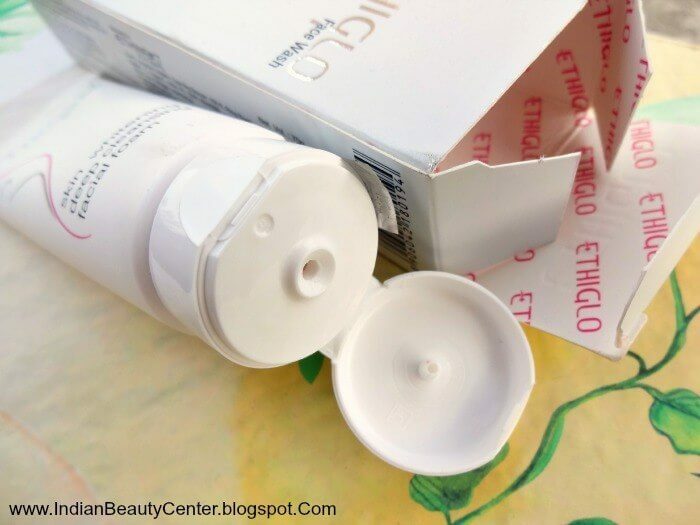 You need such a less amount per use that one tube will last a very long time. It contains stearic acid as an active ingredient and it's comedogenic and SLS also. However, it never broke me out. Just dries my skin out but actually brightens up my skin and cleanses well. Final Verdict : People with dry skin should stay away and also this might not work for those with severe acne issues. If you have mildly acne prone skin that is very oily, then go for it. Use it once daily or you'll over dry your skin. It does cleanse well and does the job of a face wash well and also helps in preventing acne to a limit. Get it if you have oily skin and want to try something new!